. Just use a table cloth, or get it resurfaced like new. Unmarked. Excellent condition. 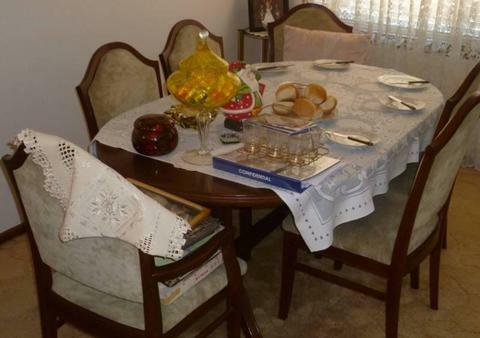 Includes table & six chairs covered in velour.